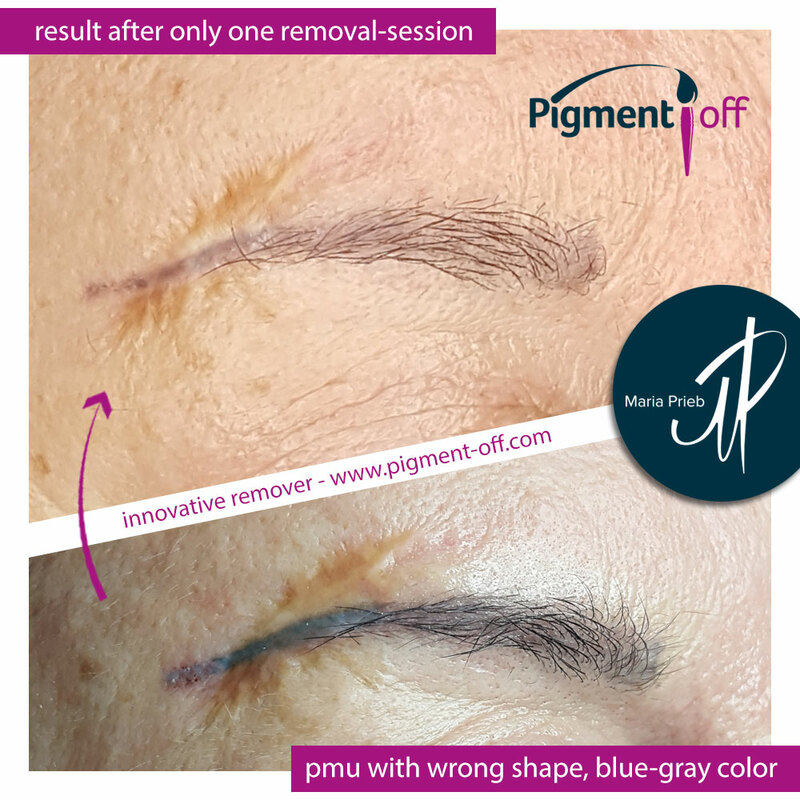 “Pigment-Off-Remover” offers the unique opportunity to effectively and safely remove pigments of all colors, types and size. 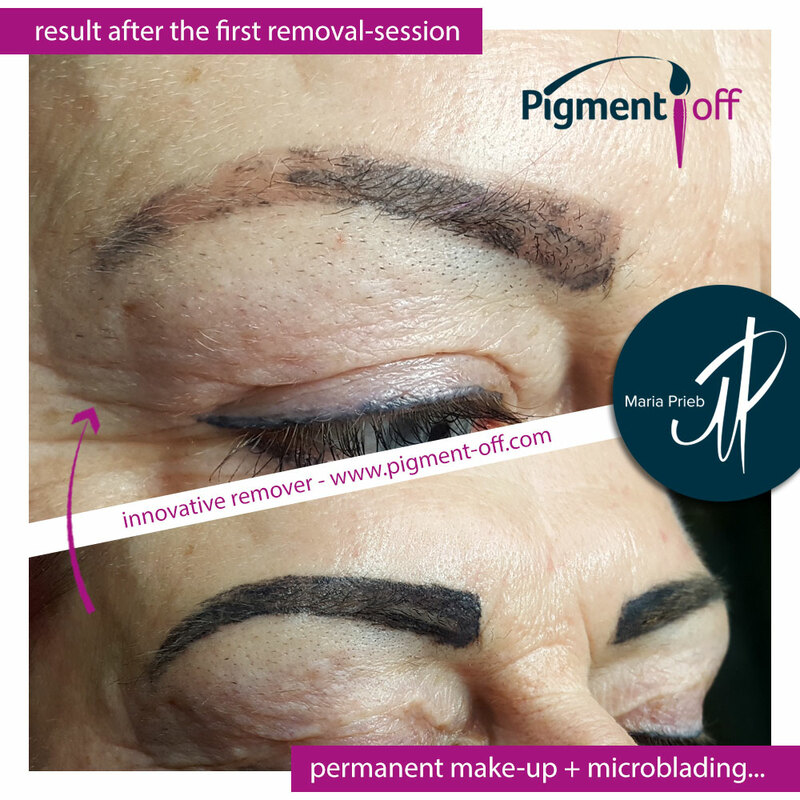 Even the persistent microblading pigments based on acrylate can be removed with “Pigment-Off”. 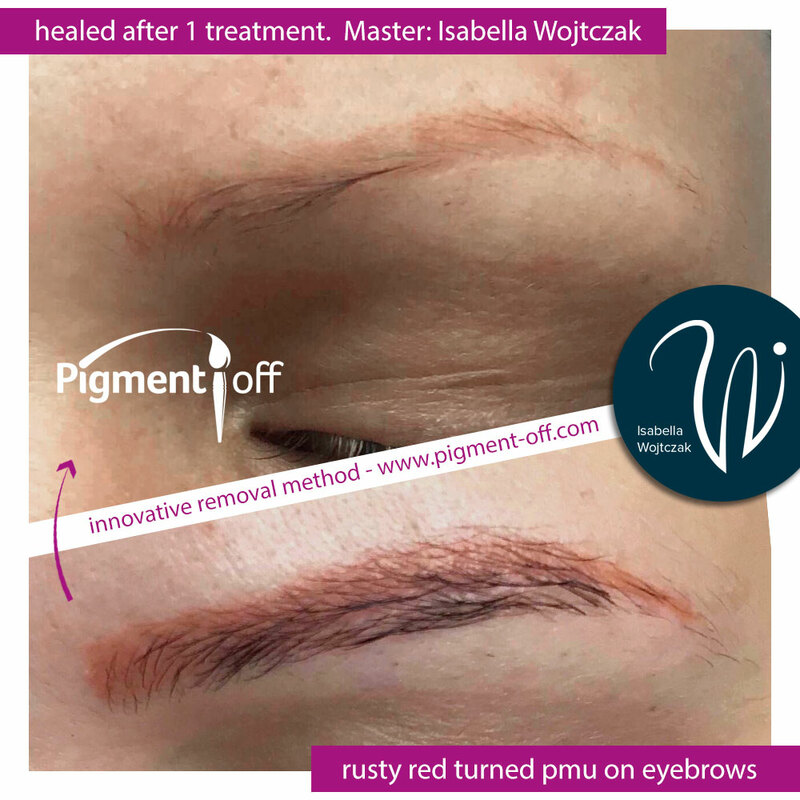 What is “Pigment-Off”-Remover? What can it do compared tothe laser? How much does a tattoo removal cost? Cost and a few examples of tattoo removal. 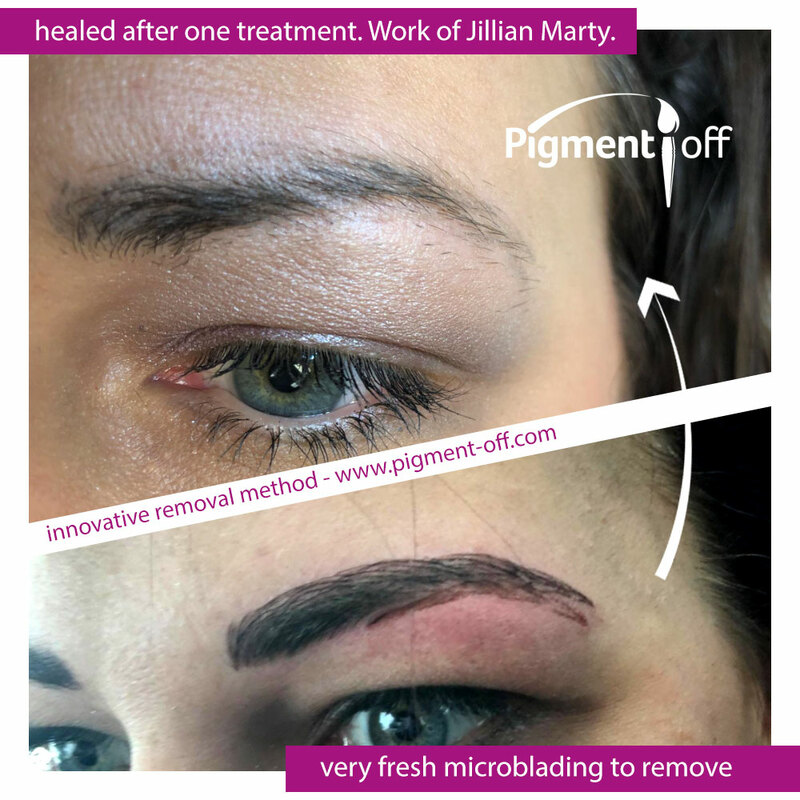 Microblading-removal is difficult, but possible! Where and how is PigmentOff remover produced? Ingredients of PigmentOff-Remover – safe, harmless and EU-approved! 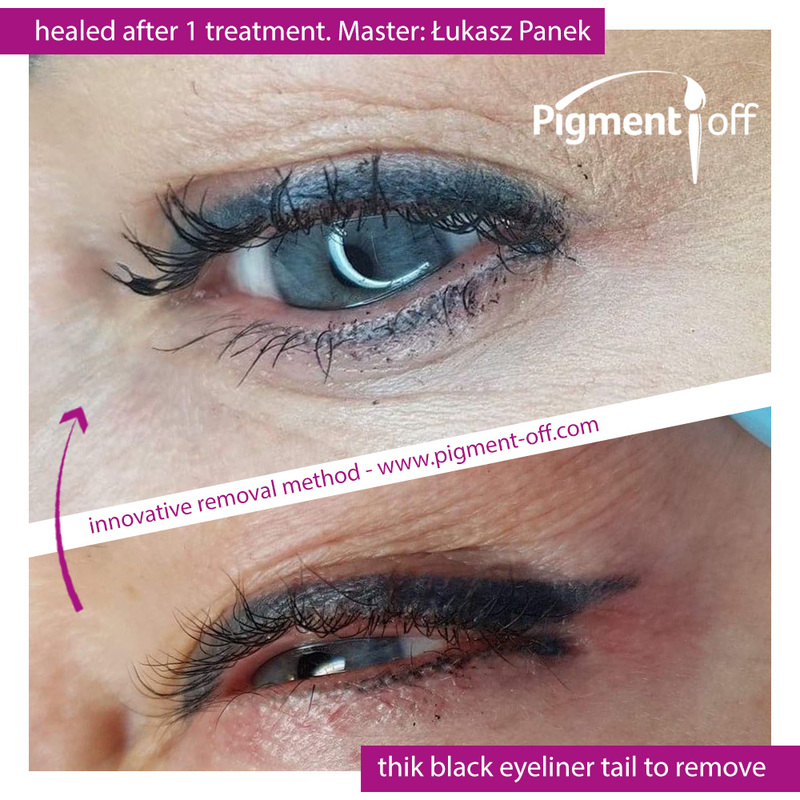 How does “Pigment-Off”-Remover work? – Differences to the laser removal. 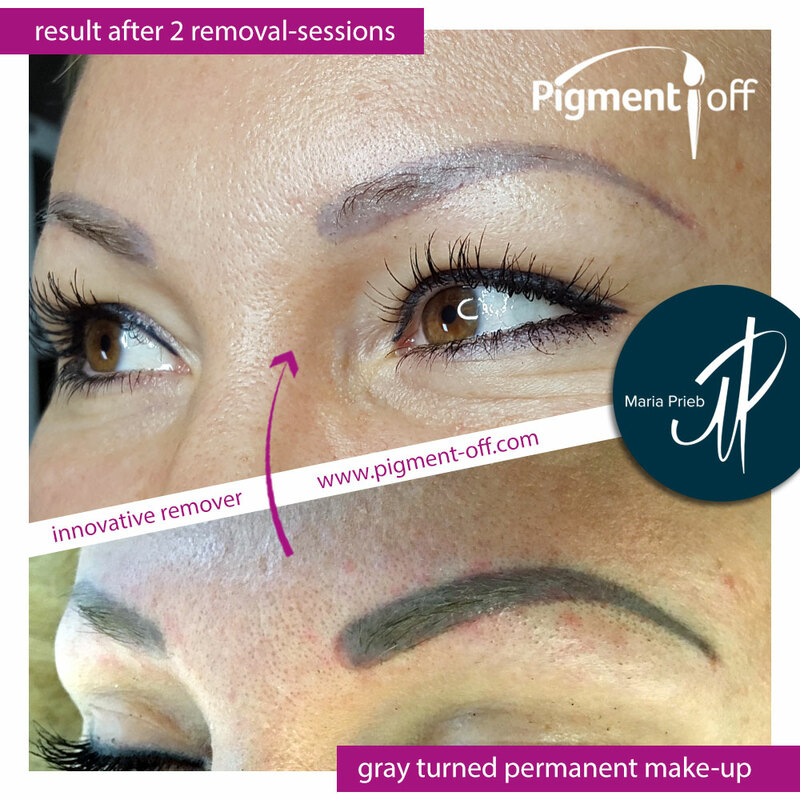 As the owner of a permanent-makeup or tattoo studio, you have theopportunity to represent the innovative Pigment Off Removal methodregionally. We are looking for distribution partners worldwide! 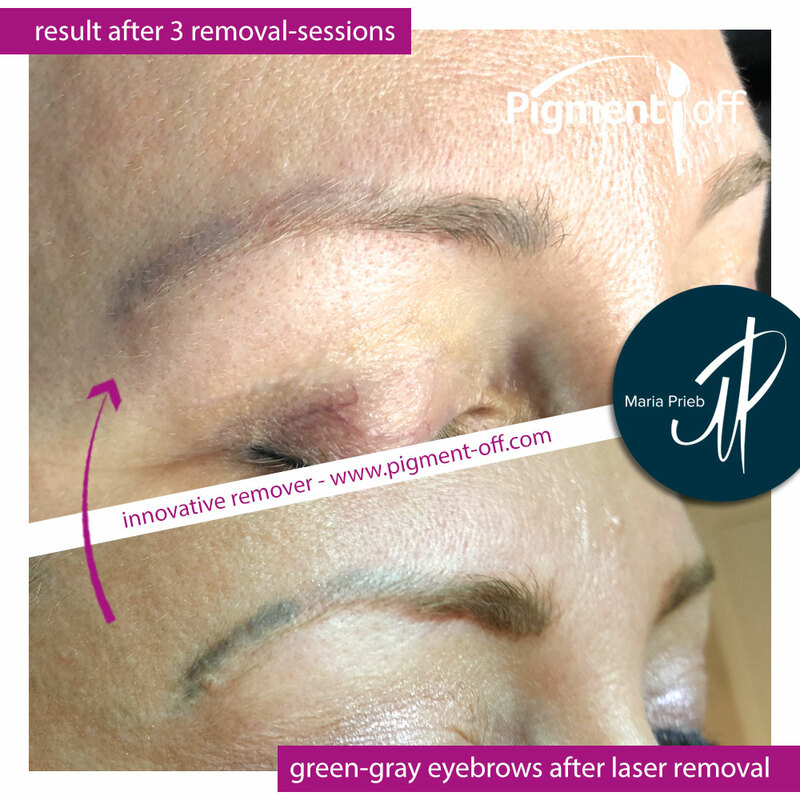 Pigment Off Remover is an innovative product for the removal of permanent make-up & tattoos without laser. Here you can browse our online catalog and read about all PigmentOff products. You can also download the catalog as a PDF-file. tattoo- & pmu removal without laser! highly effective, harmless, scar free and painless! 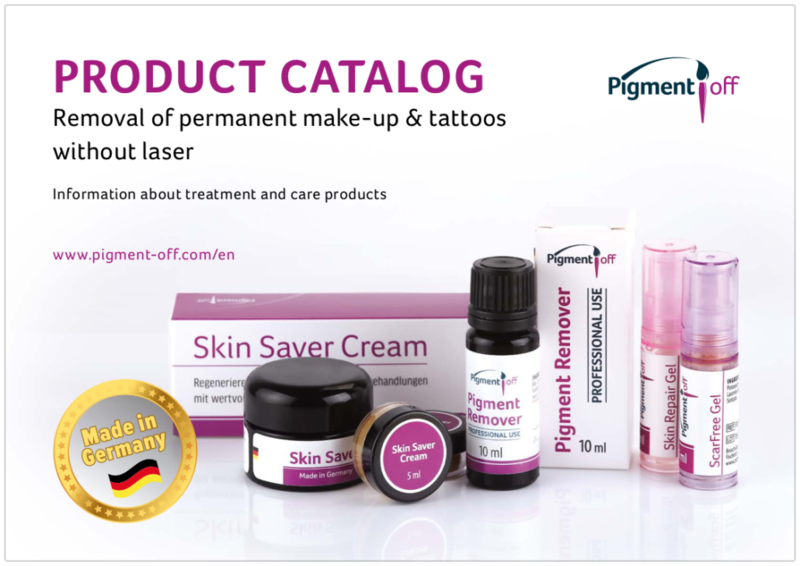 Pigment-off-remover is the unique method to remove tattoo & permanent make-up pigments – regardless of their color and origin – effectively, quickly and without laser. Also suitable for persistent microblading pigments. Feee your clients from failed pigmentations and ugly tattoos! We always keep you up to date!